China’s preeminent musuem of contemporary art, the Yuz Museum in Shanghai, will present the first showing in Asia of a major installation from the Yuz Collection entitled Rain Room (2012) by the artists Random International. 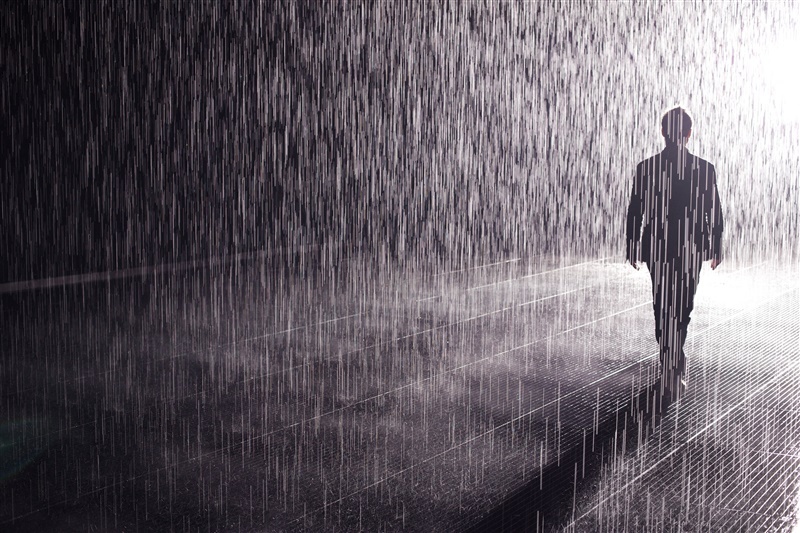 Rain Room was first presented at the Barbican in London (2012) and then at The Museum of Modern Art, New York (2013). It will be premiered in Asia at the Yuz Museum Shanghai from September 1st to December 31st 2015. The presentation in Shanghai has been made possible with the support of Volkswagen Group China. Conceived by the artists Random International, Rain Room is on view courtesy of Yuz Collection who commissioned a site- specific installation of 150 sq. meters in response to the vast space of the Yuz Museum. In presenting the most ambitious scale of the work to date, the Shanghai exhibition will have over 50% more capacity than the previous exhibitions. Extended viewing hours and a “view only” queue where visitors can engage with the installation at very close range but without walking directly below the rain, ensures everyone inspired to visit can experience Rain Room in person. Rain Room responds to the presence and behaviour of its participants, offering visitors a surreal environment and unique relationship with water. Exploring ecological challenges through art, this presentation of Rain Room also offers another perspective to the multi-layered Yuz Collection and the forthcoming programming of spectacular temporary exhibitions at the Yuz Museum. After the presentation in Shanghai Yuz Museum, Rain Room will tour China and Asia, starting with Beijing during spring 2016. Rain Room is on view at Yuz Museum, courtesy of Yuz Collection and made possible by a partnership with Volkswagen Group China. Founded in 2005, Random International is a collaborative studio for experimental practice within contemporary art. Taking science as a means to develop a new material vocabulary, their work invites consideration through explorations of behaviour and natural phenomena — with the viewer an active participant. In the decade following the studio’s inception, the focus of Random’s artistic practice has continuously evolved and today encompasses sculpture, performance and spatial installation on an architectural scale. Random International is currently featured in the group exhibition ‘FOMO’ at Friche la Belle de Mai, Marseille, on view until August 2nd. Lundskonsthall, Lund last year exhibited a solo presentation of Random International’s work entitled ‘Studies In Motion’. In 2013, Random International’s Tower: Instant Structure for Schacht XII was shown at World Heritage Zollverein as part of the Ruhrtriennale festival. The studio’s kinetic and responsive sculpture Fly was premiered at the 4th Moscow Biennale of Contemporary Art in 2011, while their work Swarm Study / III is on permanent display at the Victoria & Albert Museum, London. In addition, the studio has won a number of awards including Prix Arts Electronica – Award of Distinction 2013, Ruhrtriennale Children’s Choice Award 2013, Designer of the Future 2010, CR – Creative Futures Award, Wallpaper* Award and were listed in the Observer’s Top Ten Creative Talent in the UK.